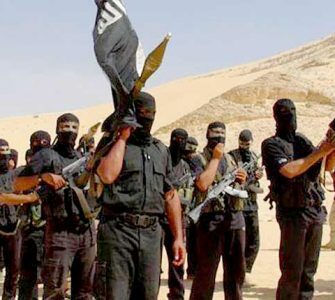 Hamas leader Khaled Mashaal recently revealed Hamas’ unfolding strategy in the wake of the Gaza war, particularly the use of the international system as an economic safety net after every terror offensive. Hamas will use international legal instruments to participate in the Palestinians’ delegitimization campaign that seeks ultimately to bring an end to the State of Israel. Mashaal understands that the use of violence and terror does not incur punitive measures against Gaza by the international community. On the contrary, it is remunerated with generous economic aid for rehabilitation and development. Hamas’ real aim is to use the Palestinian national reconciliation to infiltrate the PLO and wrest control from within. The war in Gaza ended after 51 days of fighting, but it was one more chapter in the long-term struggle over the land. Hamas leader Khaled Mashaal and other heads of the movement have been portraying this latest war (called “Protective Edge” by Israel and “Expendable Chaff” by the Palestinians) as a tremendous “victory” of the Palestinian people over the Israeli army. 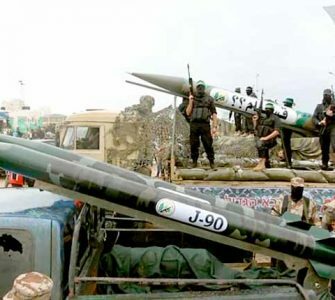 The victory was achieved, they say, mainly through steadfastness and the improved military capacities of the Al-Qassam Brigades and the Palestinian organizations, which supported an ongoing assault on Israeli civilian and strategic targets and deterred the IDF from conquering Gaza and overthrowing Hamas. Mashaal stressed the importance of rapid rehabilitation of the civilian infrastructures that were damaged in the war. He called on the international community and the Arab and Muslim states to extend urgent economic assistance, and declared that the funds would not be exploited by any political actor but would instead be funneled to the welfare of the residents. “We are not directing [the financial assistance] to anyone. We are saying to the Arabs and the Muslims and the international community: go to Gaza and provide aid to the residents. We do not want to exploit this for the good of a party or a movement. We want to serve the people. It is they who created this war and they are entitled to rapid assistance from us,” said Mashaal. This goal reflects Hamas’ strategic thinking and is based on past experience. It takes into account the fact that the use of violence and terror does not incur punitive measures against Gaza by the international community. On the contrary, it is remunerated with generous economic aid for rehabilitation and development, which directly or indirectly helps build up Hamas’ military capabilities for the next assault on Israel. The aid that the international community extends to Gaza after a terror offensive actually constitutes an economic safety net for the Hamas government, for its adherence to terror, and for its efforts to overthrow the Palestinian Authority headed by Mahmoud Abbas (Abu Mazen) and bring about the destruction of the State of Israel. 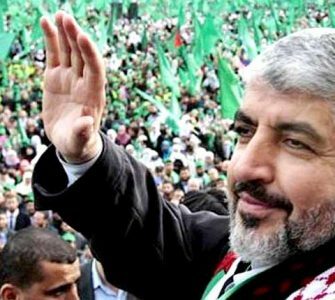 Mashaal called for reorganizing the “Palestinian house” in light of the reconciliation agreement that Hamas reached with the Palestinian Authority and Fatah, which stipulated a unity government (established in June 2014); new elections for Palestinian governmental institutions; and the rebuilding of the PLO institutions with, for the first time, the participation of Hamas representatives. Mashaal asserted that the main objective of the national reconciliation, in which he also assigns a role to the Arabs of Israel, is to mobilize all forces for the campaign to liberate Palestine and bring back the refugees. He added, “We support a political and diplomatic process and all forms of the struggle; however, everything must be based on the struggle/resistance [muqawama], which creates the conditions for victory and forces the enemy to leave our land as it left Gaza and before that southern Lebanon….Through safeguarding the victory in Gaza we will complete the task and not revert to the failed approach of negotiations.” Mashaal did not rule out a return to armed struggle and the resumption of hostilities with Israel. 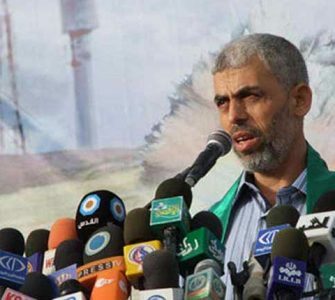 The leader of Hamas, a terror organization that shelters a long list of other terror organizations including branches of Al-Qaeda and Islamic State, emphasizes the use of international legal instruments to weaken Israel while assuming that these instruments will not turn into a double-edged sword for Hamas. Mashaal demanded that the Palestinian Authority sign the Rome Convention so that the Palestinians can press “war crimes” charges against Israel at the International Criminal Court in The Hague. He expressed no fear that Israel might press similar charges against the Palestinians. In other words, Hamas sees the legal instruments of the international community as a powerful means at its disposal to pursue the delegitimization of Israel and invalidate its existence both for “ethical and moral” reasons and for its being a “burden” and “without [strategic] value” to the West. “We say to the Arabs and the Muslims in their [different] regions: this is the real struggle, you and we should make it our first priority because the Zionist enterprise endangers all of you,” said Mashaal. He avoided addressing the situation in the Arab world, including the rise of the Islamic State in Syria and Iraq, the instability in other Arab countries, and the Iranian ambitions in the region. He presented Israel as the cardinal enemy of the Muslim nation, actually adopting the political line of Iran, with which Mashaal continues to strengthen Hamas’ strategic alliance to the consternation of Saudi Arabia and the Gulf states.